As soon as I read that Rita Rosenback, one of my favorite multilingualism bloggers, is publishing a book I knew that I have to have it. Unfortunately, shortly after I got my hands on the book life got so busy that I had little time to actually sit down and read it. Now when my PhD dissertation has been defended, I can return to reading for pleasure and “Bringing up a Bilingual Child” was among the first books on my list. Celebration emphasizes that bilingualism is something to take pride in and even celebrate. 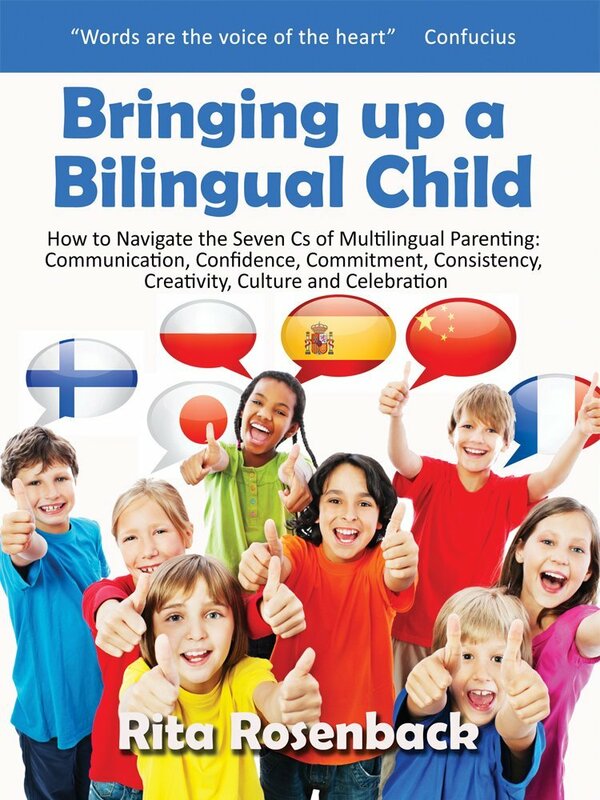 I liked the fact that “Bringing up a Bilingual Child” goes beyond the two most common models of passing on family languages – OPOL and mL@H – by also outlining how switching languages by time or place, or using a mixture of languages or a mixture of strategies can be successfully applied in passing on family languages. Furthermore, I loved that aside from stressing the benefits of consistency, the book also stressed the importance of being flexible and creative. On the one hand, it reminds that adaptation may be necessary as life can be bring many changes from new siblings to international moves. On the other hand, it encourages to find fun and enjoyment in the bilingual journey. And this goes for both sides: while the children may respond better to fun and compelling ways of using the language, enjoying the process is important also for the parents! Overall, “Bringing up a Bilingual Child” is a great book, especially for parents like me who are just starting the multilingual journey. It is practical, down-to-earth, and, most importantly, truly encouraging. I can imagine that I will refer back to it in the years to come. Of course, no single book can give you the right “recipe” of passing on several languages to your child. As Rita stresses in the book, your family’s situation is unique and so are the challenges that you may face. You are the expert of solving them and books such as this one can give you resources, ideas, and encouragement. Disclaimer: I received a free copy of the book for review purposes, all views are my own. Click here to find out more about this book and where to purchase it.